EDUCATION AND WORLD CLASS SERVICE. With over 62k followers on Instagram, SliderCuts provides some of the tightest shape-ups from East London to West Hollywood. His razor-sharp skills makes him an expert figure in his field, and his vast knowledge and business acumen has made him a trusted figure within the wider community. As a result, Mark was recently recognised for his position as one of the UK’s top black business people following his win at the acclaimed Black British Business Awards. "My craft has taken me to some exciting places across the globe and, over the years, I’ve had some amazing clients including Lebron James, Tinie Tempah, Anthony Joshua and J Cole." Through these things and more, Mark continues to perfect his craft while equipping small businesses, his community and the younger generation with the expertise and self-belief they need to flourish and succeed. 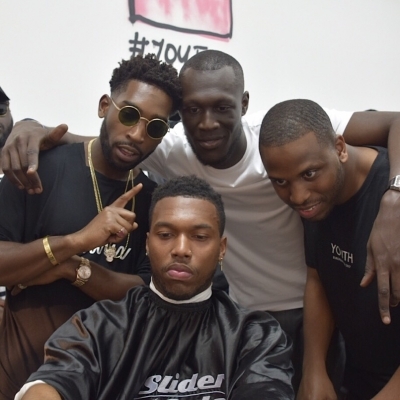 Through his craft, Mark has built up a highly recognisable brand in SliderCuts that has stretched his reach and impact far beyond the barbering industry, landing him features in Nike’s recent “Nothing Beats a Londoner” campaign and Facebook’s “Let’s Get to Work” campaign, to name a few. 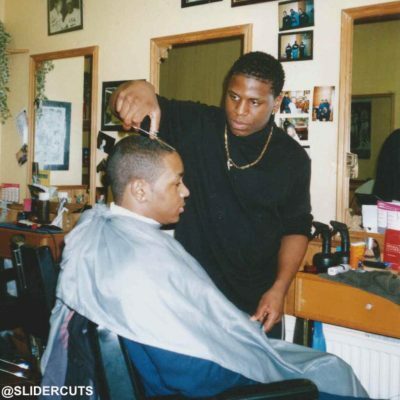 Not only that, but Mark has this year opened his first SliderCuts barbershop; is working on creating a product line; and has started a vlog series titled SliderCuts: Shaping-Up Culture, where he not only shares key business insights but he uses his platform both on and offline to promote issues affecting and bettering the black community. One hairline at a time.